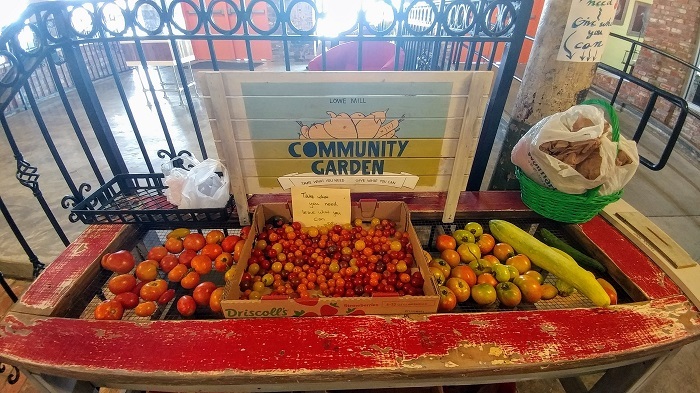 Our Foodie Journey to the Rocket City! We were thrilled when the Huntsville Visitors Bureau invited us to preview this year’s Huntsville Restaurant week along with other bloggers! Some of our closest friends live in Huntsville, so we jumped at the chance to visit! As veteran bloggers for Birmingham Restaurant Week we were excited to see what The Rocket City had to offer! 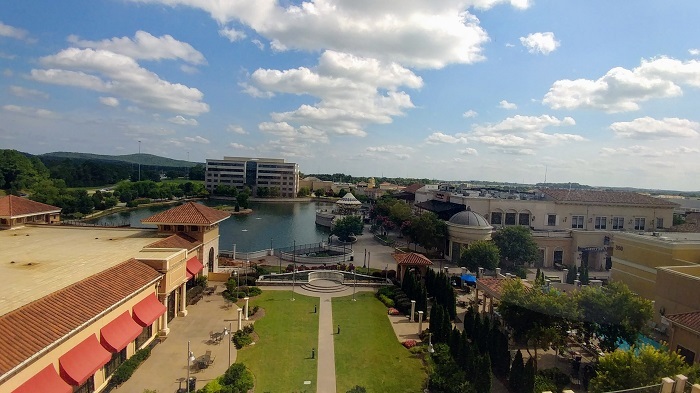 As if the prospect of delicious food wasn’t enough, the Huntsville CVB booked us a room at the luxurious Westin Hotel located in the swanky Bridge Street shopping center! (Amber said she felt like she was shopping in L.A.!) Our room had an incredible view and we were greeted with a bottle of wine and a fruit & cheese tray! Our first stop at Keegan's! We didn’t have much time to settle in before it was off to our first restaurant, Keegan’s Public House. 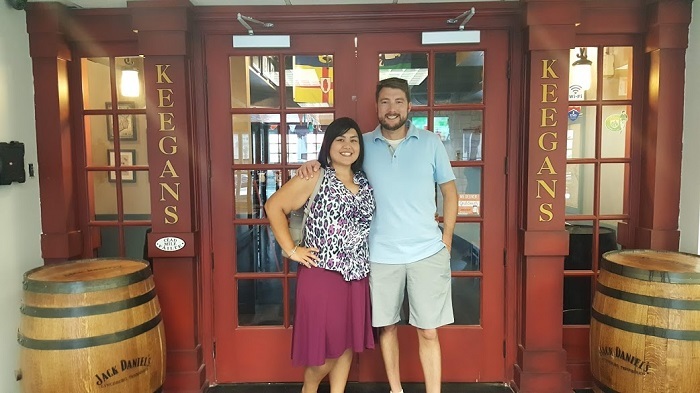 Keegan’s is an Irish Pub that, fun fact, ranks 2nd in the state when it come to the amount of Guinness they sell! It is located above Huntsville’s beautiful Big Spring Park and has a wonderful view of the park from the patio. It was lunch time and we were ready to try some traditional Irish cuisine. We weren’t disappointed! 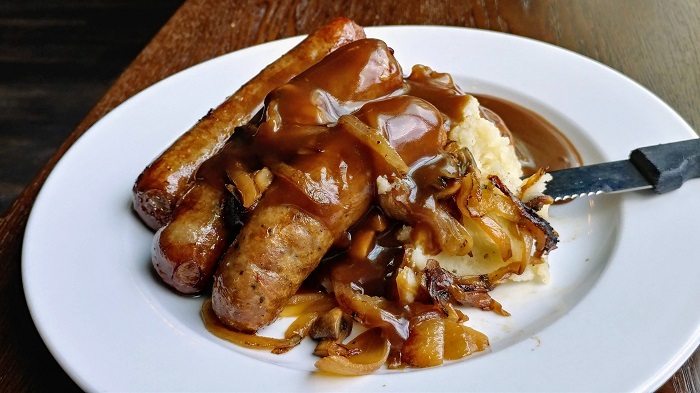 The two dishes we tried were Bangers & Mash ( traditional Irish Sausage, grilled onions and mushrooms, served with gravy on top of mashed potatoes!) 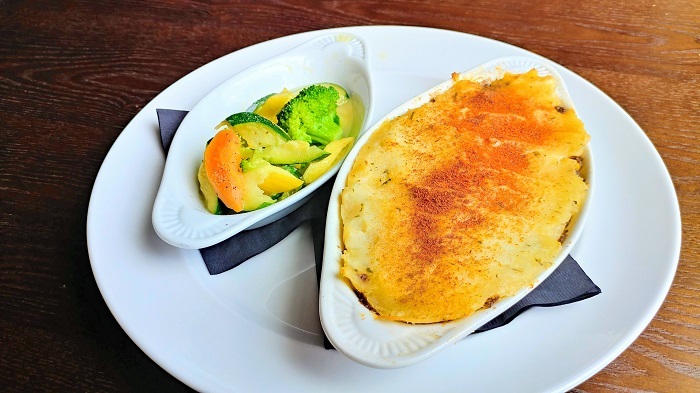 and Shepherd’s Pie (ground beef mixed with veggies and served underneath a bed of seasoned mashed potatoes). It was hard to decide which dish we loved more! Shepherds Pie Krispy Kreme Bread Pudding! 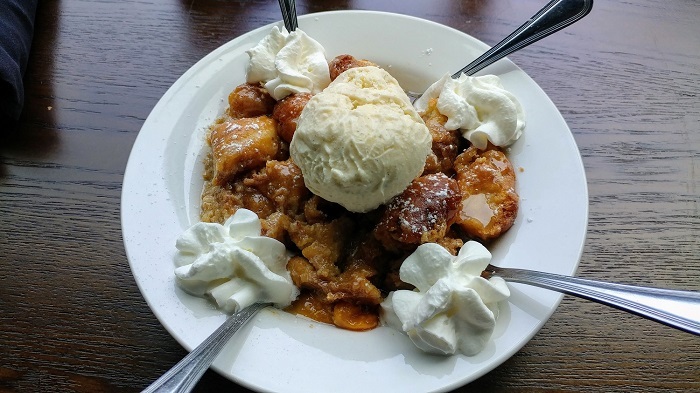 Our dessert was a sinfully delicious Krispy Kreme Donut Bread Pudding topped with fresh peaches and vanilla bean ice cream! (Calories don’t count, right?) This dessert is easily enough for 3 people to split! After our filling Irish lunch we needed to walk around before dinner, so we headed over to Lowe Mill. If there’s one place in Huntsville that we wish we could magically move to Birmingham, Lowe Mill is that place! It’s an old mill transformed into a complex filled with artists studios, a theatre, coffee shop, Piper & Leaf, and more! This is a MUST for your next visit to Huntsville! 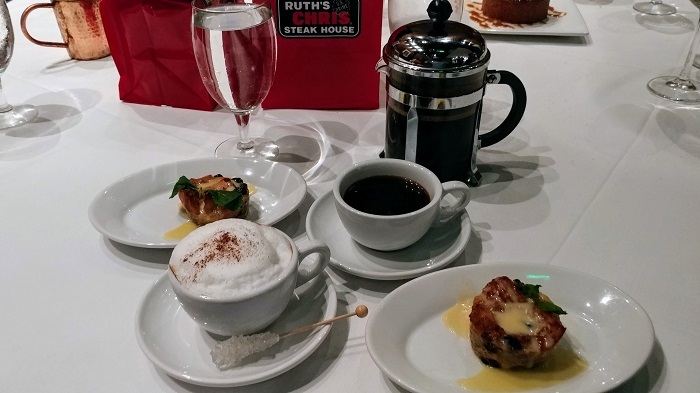 Dinner arrived in the blink of an eye and we found ourselves meeting up with our fellow bloggers at Ruth’s Chris downtown. 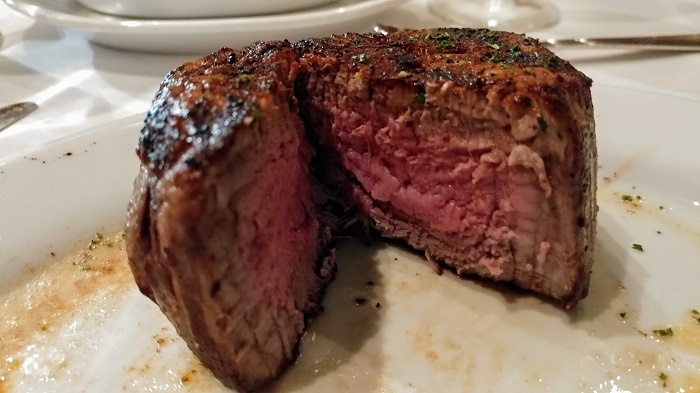 While Ruth’s Chris is a franchise, they make a concerted effort to stay involved in the local community. 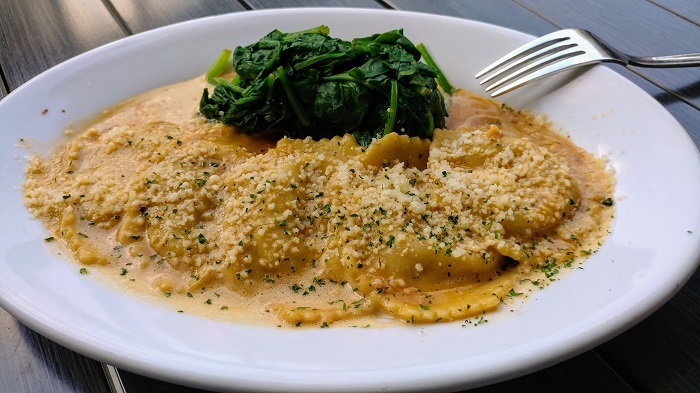 Huntsville Restaurant Week is no exception. As we chatted up our fellow bloggers we were treated to some amazing food! 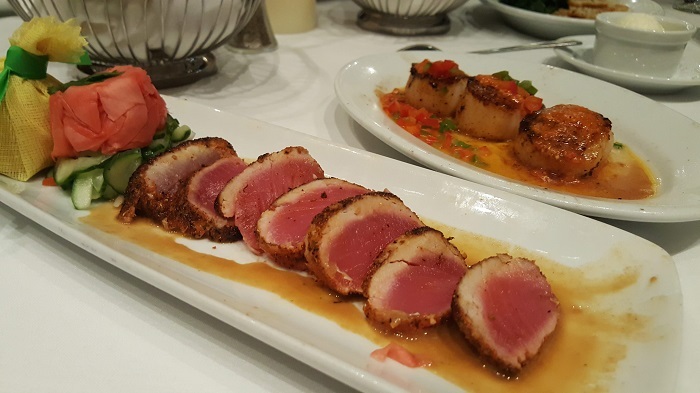 The appetizers alone included Seared Ahi Tuna and Scallops that were out of this world! 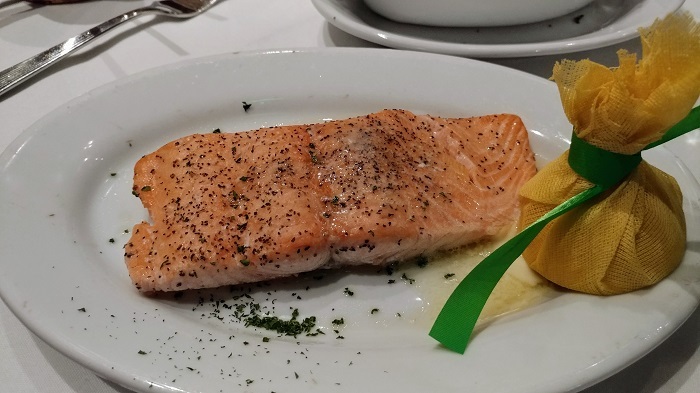 For our main course we had their signature Fillet and a Broiled Salmon Fillet, both of which were exquisit! We had a few options for dessert, but the fan favorite was the Warm Apple Crumb Tart! It consisted of granny smith apples baked in a flaky pastry with streusel crust; served with vanilla ice cream! It was heavenly! After dinner we soaked in the hot tub at the Westin before heading to bed. We still had two more days ahead of us!